Kaskade recently released an HD recap of his Ultra Music Festival performance and experience, which allows you to go behind the scenes with Kaskade and travel with him around Miami. Kaskade also offers a personal interview in which he discusses the current state of EDM, his past experiences in Miami, and his excitement for his Ultra Music Festival performance. The video features a cover of the Kaskade's hit song ‘Eyes’ by Great View of the Moon. This video allows Kaskade fans all around the world to watch Kaskade at his absolute best, tearing up Miami. 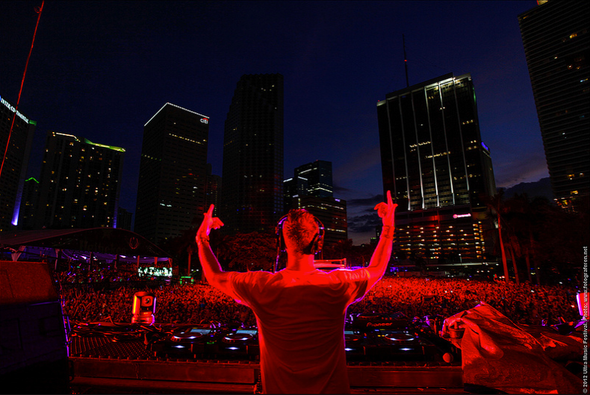 It shows a crowd of thousands of fans at Ultra having the time of their lives as Kaskade delivered an epic performance into the night. Check the video below and experience the excitement and passion of possibly one of the most energetic, creative and explosive DJ/producers in the world. Get Kaskade’s tour dates HERE.